Stainless Steel Beakers - Labware - Gilson Co. Stainless Steel Beakers are made from grade 304 stainless steel, and are used for handling and collecting corrosive solvents and bitumen samples without fear of breakage. 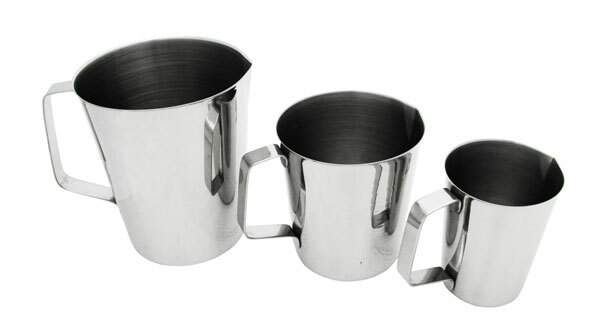 Heavy-duty, stainless steel Beakers are corrosion-resistant and have rolled top rims. They are available in 500 and 1,000ml capacities, as well as in 2, 6 and 12qt. MA-40, MA-41 and MA-42 Beakers have handles and are graduated in ounce and CC divisions. MA-45, MA-48 and MA-50 models are straight-sided, Bain-Marie style Beakers with no handles or graduations.